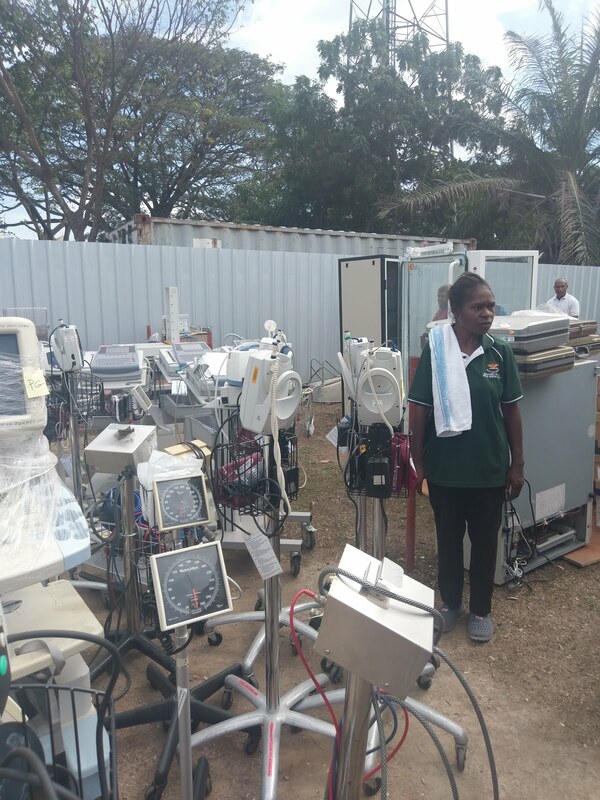 The Gerehu General Hospital in Port Moresby will see much improved service delivery in terms of patientcare and clinical supports. Thanks to the South Brisbane Rotary Club, Australia for their continuous support in the supply of the much needed life-saving equipment. Earlier this year, the hospital had received a first batch of equipment from the same rotary club where such a donations had boost the morale of the hospital, according to the Chief Executive Officer (CEO), Dr Steven Yennie today (07/03/2017). “Gerehu General Hospital has been very privileged to be part of those massive gifts. So far, a total of four 40-foot long containers containing the items have reached the hospital safely, the jubilant Dr Yennie said. To name a few, the items includes: three ultrasound scanners, X ray Medical Scanner, Operating theater tables, ECG (electrocardiography) Machines-that helps records electrical activity of the heart, Mobile Bath Chairs, microscopes, medical text books and more including office equipment giving a total of 742 different items. 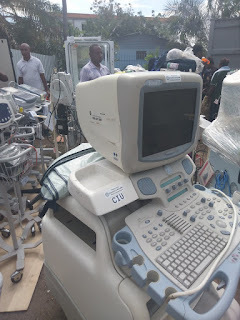 “These medical equipment will assist our medical doctors to do proper diagnosis, the CEO said. “We are happy to be part of the Global Community and such association with partners and cooperate communities is a blessing to the hospital as we also anticipate more blessings to come,” he said. Dr Yennie thanked the National Department of Health for the support given to facilitate in the shipment of containers to arrive in the country. Director Medical Services of the hospital, Raphael Mark said that the hospital management has gone through major restructurers to improve service delivery. Emergency Physician Dr Ovua Bue also expressed similar sentiments. The equipment will really improve the quality of the service delivery. The hospital is doing things to save lives unlike before,” Dr Bue representing the clinicians said. Meanwhile, it is understood that the hospital needs more infrastructures in terms of buildings to house and provide spacious service delivery using those equipment.